We care deeply about our community and recognize that there are challenges for many of our fellow year-round community members related to housing, childcare, employment and more. In an effort to give back, our firm established the PSD Fund for Working Families in 2010. This fund provides assistance through local organizations to families and individuals facing challenges living and working on Cape Cod. A portion of PSD’s profits are donated to the fund annually, and generous contributions are provided by our clients, partners and friends. Since its inception, the fund has distributed over $260,000 to support our Cape community. In 2018, the fund supported the Cape Cod Community College Educational Foundation, Cape Cod Literacy Council, Cape & Islands United Way, Chatham Food Pantry, Community Development Partnership, Family Pantry of Cape Cod, Friends of the Harwich Early Childhood Advisory Council, Housing Assistance Corporation Cape Cod, Lower Cape Outreach Council, Monomoy Community Services, Monomoy Regional High School Scholarship Program and WE CAN. If you would like to join us in providing needed assistance on Cape Cod, please use the donate button below. You will be redirected to our Cape Cod Foundation page, where our fund is held. Your entire contribution goes towards the fund and its mission. All donations are tax deductible. 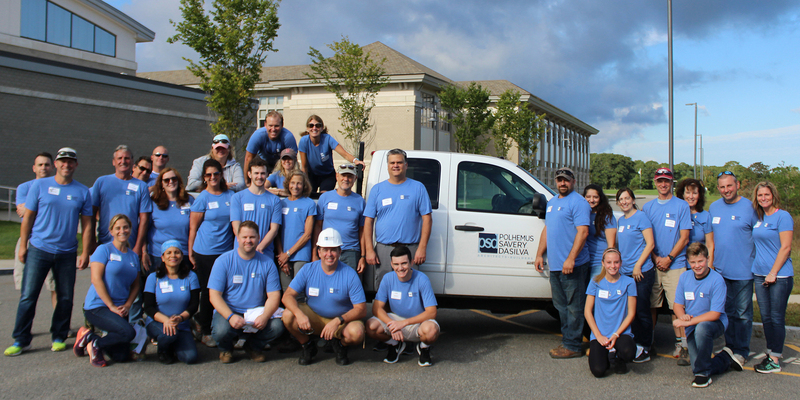 Members of PSD's team volunteer at the Harwich Big Fix.